If you are currently planning a wedding or ever have, I&apos;m sure you&apos;re familiar with traditional bridal shows. Well, the Washington Township Parks Department plans to buck tradition this weekend for a first-of-its-kind wedding event. A free Wedding Social will take over the Pavilion Center in the lower portion of the park from 1-4 p.m. this Sunday, March 5. The event will be a combination bridal show, wedding items swap meet and panel of newly married couples sharing wedding planning insights. Wedding vendors will be available to discuss the details of wedding planning. There will be disc jockeys, photographers (including my business Erika Brown Photography), event designers, florists, caterers with samples and a mobile bar. It truly will be a one-stop shop for your wedding vendor needs. Additionally, at 2 p.m., a panel of newly married couples will discuss their wedding planning insights. The audience will even have an opportunity to ask the panel questions after their discussion. What a perfect time to ask those wedding questions you are unsure about from people who just went through the same process you are experiencing or are about to experience! In addition to the incredible opportunity to speak directly with local wedding vendors and gain knowledge from recently married couples, there will be wedding items available for purchase via cash or check. 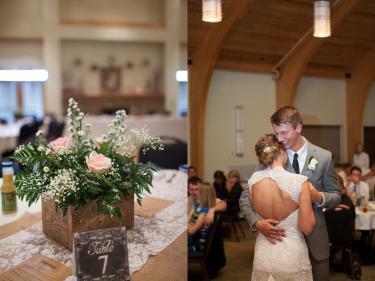 If you would like more information on the Wedding Social at the Washington Township Park Pavilion Center or you would like to sell wedding related items, contact Stephani Massa at (317) 745-0785 and choose option 2 or email her.